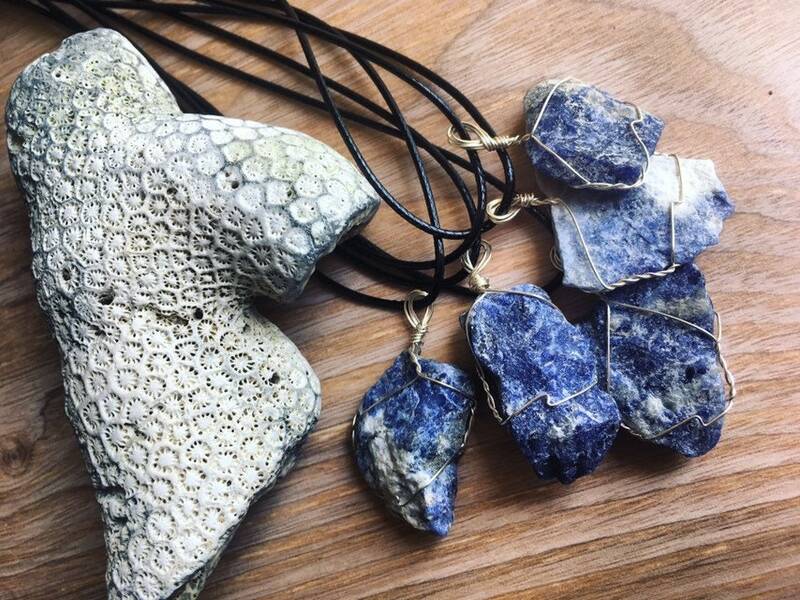 Sodalite is a great calming stone for those with stressful days. 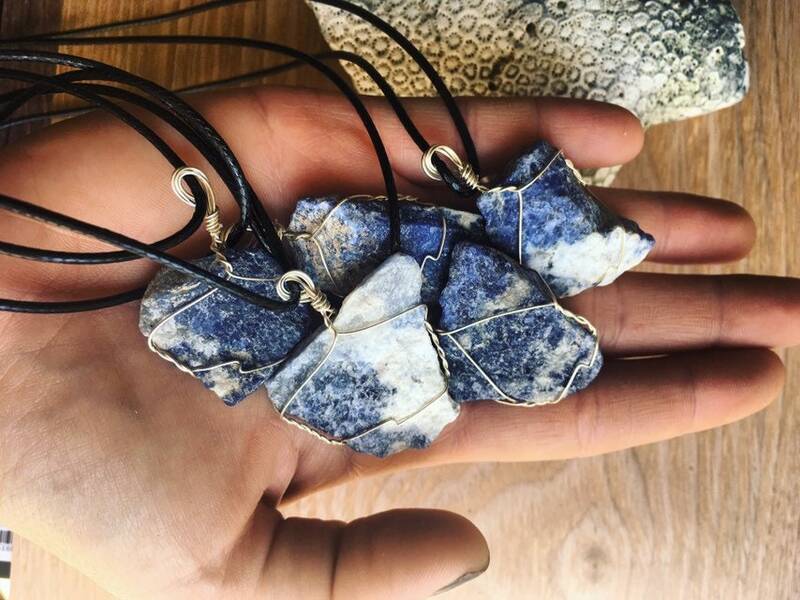 This stone calms the mind, helping you to let go of everyday stress. This stone also helps boost self esteem and your self confidence! We hand pick and hand wrap each stone.